The event program contained 13 sessions led by top mobile software practitioners. 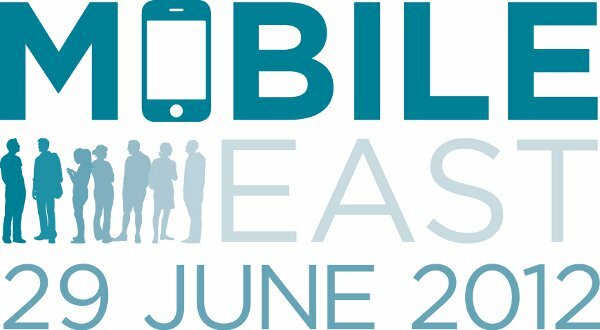 Follow @MobileEast for the latest conference news and use the #mobieast hashtag to tag your conference tweets. Cloud East ran the day before Mobile East. Read more about Red Gate Software. Read more about Cambridge Wireless and Mobile East. Read more about Cambridge Network and Mobile East. Read more about Cambridge Mobile App Group and Mobile East. Mobile East is a new, practical event for people building software for mobile devices. Mobile East 2012 is now over, thanks to everyone who helped make it a success. Sign-up to our mailing list or follow @MobileEast for news on next year's event. The event programme contained 13 sessions from top mobile software practitioners. We're very pleased to welcome Julian Harty (Independent) as a conference keynote speaker. Mobile phones are ubiquitous and, since 2007, millions of us have changed our habits to use applications on our smartphones. We can find & download new applications immediately and even discard them a few minutes later. Some of us are involved in creating and testing these applications. This keynote provides a primer on ways to test mobile phone applications, both interactively and using test automation. We will cover the full software lifecycle; from creation to user-feedback for installed & web-based mobile applications. The mobile apps world continues to evolve rapidly so join us to learn more about the testing challenges & practices for your mobile app world. Julian has been actively involved in the software testing world since 1999 when he realised testing was one way to help deliver better software for the ultimate users. Over the years he has: run various companies; worked at Google for 4 years as a senior test engineer; and until recently was the Tester At Large at eBay. He’s now spending his time and energies with people, companies and projects that leverage technology to help people; where the technology adapts to and suits the users. 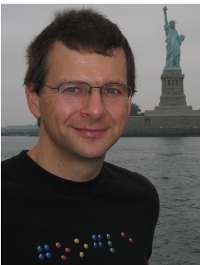 Much of his work is freely available online including: various opensource projects, training material, and notes on test automation for web & mobile applications. He wrote the first book on test automation for smartphone applications. And he has published articles, given tutorials and classes, globally, on testing & test automation. He’s also one of the editors, and the main author for the testing sections, for the popular Don’t Panic Mobile Developers Guide to the Galaxy book. The 10th edition was launched in February 2012. He’s currently writing the next book on testing and test automation for mobile phone apps. It’s a collaborative effort where hundreds of people have the opportunity to provide feedback and content. Email him julianharty@gmail.com if you’d like to get involved. Mobile East was organised by Software Acumen, based in Cambridge, England. We specialize in practical events for the software community. Join the East of England software community at The Software East Network.